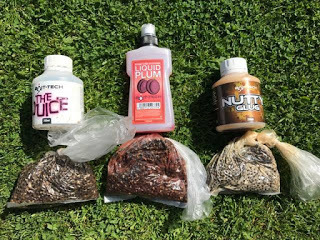 Whenever I fish natural venues I always like to have some hemp with me and I normally split a large tin of Bait-Tech Super Seed hemp into three bags and freeze it, that way a tin lasts me three matches which is great value! Along with the Natural hemp there are also Chilli and Aniseed varieties and with the arrival of all the new Bait-Tech additives and glugs, it got me thinking, why stop there? So the next time I bought some hemp I decided to give it a twist. 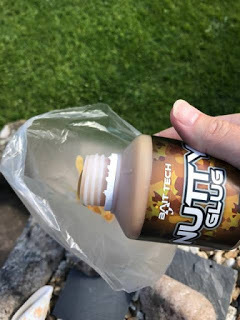 Make sure you split the hemp equally between three freezer bags (including the liquid) and then add your chosen flavouring, I used The Juice, Liquid Plum and Nutty Glug and a couple of squirts or capfuls should be plenty. 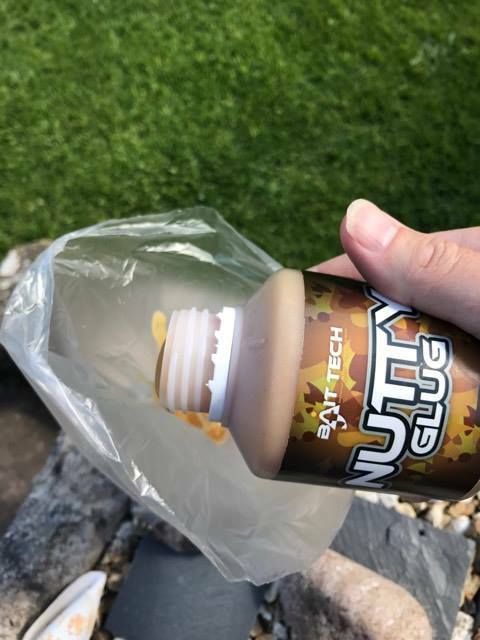 Before sealing the bags, make sure the additive is distributed evenly (which is where the liquid the hemp is cooked in comes in handy), then tie a knot in the bags and pop them in the freezer by the following day you have ‘Juicy hemp’, ‘Plum hemp’ and ‘Nutty hemp’. 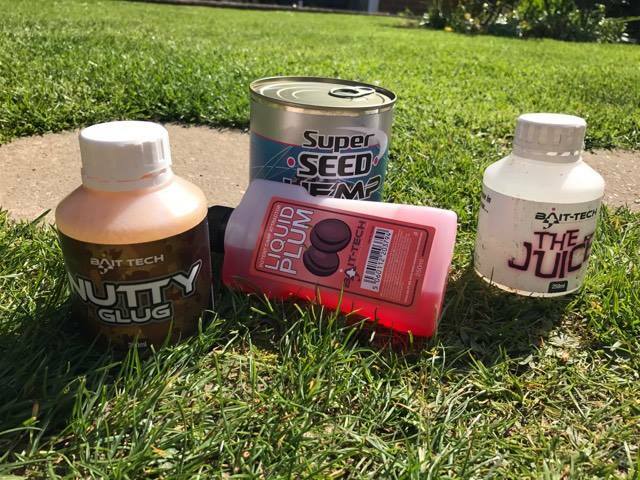 The freezing process really helps the hemp take on flavour and colour and although hemp itself is a fantastic bait and attractor, by doing something a little bit different, you might just give yourself an edge. You could even feed several lines with different flavours and see which one produces the best results.